(Beijing, 15 April 2013) As a part of the celebration of the 200th anniversary of the birth of Italian composer Giuseppe Verdi, opera "Otello" was performed in the Opera hall of the National Centre for the Performing Arts in Beijing on the 11 and 13 April 2013. 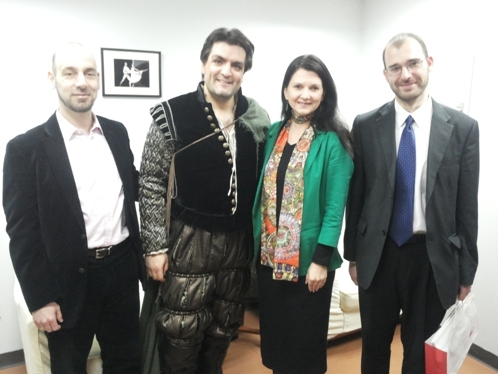 In the international cast of the opera, led by the Italian opera director Giancarlo del Monaco, famous Serbian baritone and associate professor at the Faculty of Music in Belgrade Nikola Mijailović participated in the role of Jago. On behalf of the Embassy of the Republic of Serbia in Beijing, N. Mijailović was greeted by Charge d' Affaires a.i. T. Panajotović Cvetković.